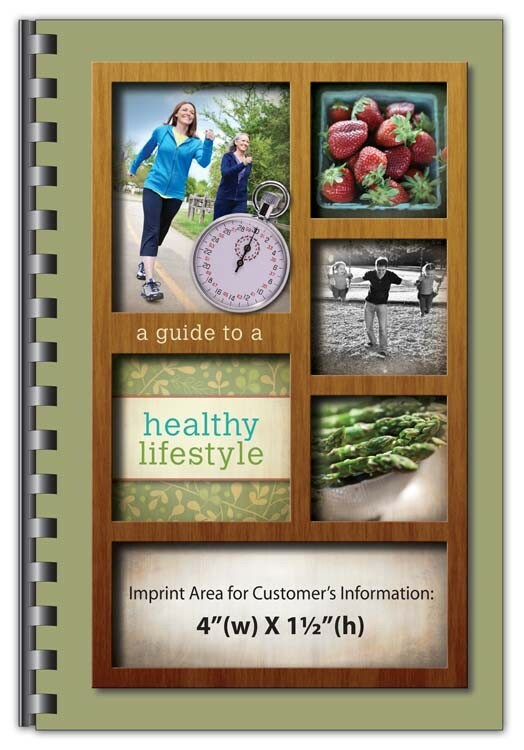 Show your customers you care with this fitness guide that is also a healthy cookbook to aid with good nutrition. This book is a perfect fit for any hospital or health & wellness center. Includes nutritional & excercise info by experts to help you stay in shape and reduce stress. Great item for any fitness promotion. Packed with nutritional information, recipes, and exercise tips--the ultimate guide for living a healthy lifestyle.